What would become of the two in a love that cannot be? My Mother and Other Strangers is coming to Masterpiece and airing Sunday, June 18, at 8pm on CET and ThinkTV16. During World War II, the United States Army established a bomber base near the fictional village of Moybeg, bringing hundreds of American airmen, including Captain Ronald Dreyfus, near the winsome women and stolid men of the village. Here, he meets Rose, an Englishwoman, married, mother of three, and village teacher, who is feeling out of place compared to the native Northern Irish. The two become friends, quoting literature and fighting against emotions and feelings for one another they respectfully cannot have. 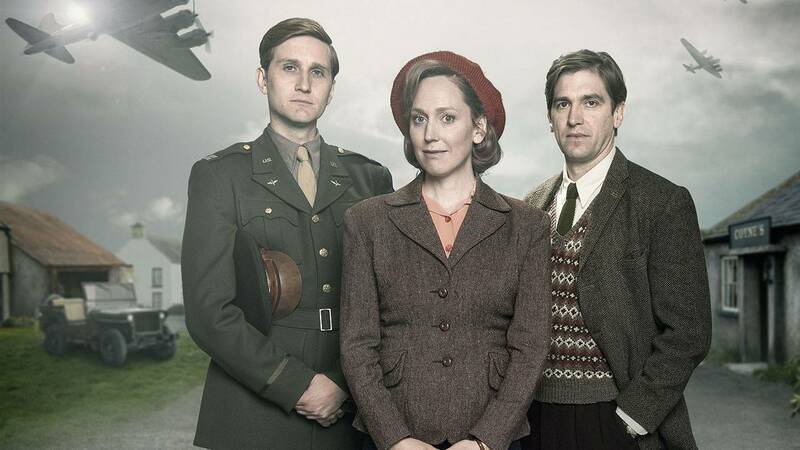 Rose is portrayed by Hattie Morahan (Sense and Sensibility) with Aaron Staton (Mad Men) as the US soldier, Captain Ronald Dreyfus. My Mother and Other Strangers also stars Owen McDonnell (An Klondike) as the teacher’s dour but loving husband and Michael Nevin (Game of Thrones) as Francis Coyne, the young son, along with Eileen O'Higgins (Brooklyn), Des McAleer (Wuthering Heights), Kate Phillips (Wolf Hall), Fiona Button (Grantchester), and Ciarán Hinds (Persuasion). Produced by Grainne Marmion, My Mother and Other Strangers is a BBC Northern Drama Production and Masterpiece co-production. Executive producers Barry Delvin and Stephen Wright along with director Adrian Shergold help tell the story of a married woman entrenched in a deep pitted friendship with an American soldier that leads to something deeper during World War II.